SPARC is a Luxembourg-based start-up, developing plasma propulsion systems and simulation software for the space industry. Just two months after the company celebrated its first full year in business, LSA spoke with Dejan Petkow, CEO and Co-Founder of SPARC, to find out exactly what plasma is, and how it’s helping us reach for the stars. Mr Petkow, for those that are not familiar yet with SPARC Industries, can you tell us a bit more about yourself and how your company was born? Well, my origins are in the academic world. I studied aerospace engineering, did my doctoral degree at the University of Stuttgart. Then I had a fantastic two-year post-doc in the advanced concepts team at the European Space Agency. While I was there I worked on space propulsion and the type of software that we are developing at SPARC right now. In 2013, I joined the Luxembourg-based company Gradel which eventually led to a spin-off in the shape of SPARC, a little more than one year ago. We have been making rapid progress since then. SPARC works with plasma, right? What is plasma, and why is it important to the space industry? Well, if you have frozen water, ice, and you heat it up, it will melt and become fluid. When you heat it up again, it will evaporate and become steam. And if you heat it up once more for long enough, it becomes what we call plasma. What’s interesting is that, as well as being extremely hot, plasma also has a very unique feature - it is able to conduct electricity. Without realizing, we see it everywhere. Plasma is, for example, in many lamps. And if you light a candle, there is (weak) plasma around the flame. In everyday life, we think that what we have here, on the Earth, non-plasma, is what's normal, but that is not the case! The universe consists of 99.9% plasma. Planets like in our solar system that are the exception. We use plasma in fields like space flight and nuclear fusion research, but is has many other applications. So where does your technology fit into this universe of 99.9% plasma? Plasma as such, is very difficult to handle. It can injure and it can destroy things, but it can also do very good things. In our case, plasma is used as a space propulsion system. Now, the physics gets very complicated inside plasmas. So complicated that we have to use modelling software to help with the research and reduce the R&D cost. When we looked around to see what kind of software was available, we realized that there was nothing that met our requirements. This is how our software came into play. And what kind of companies show interest in your products? Mostly companies that develop space propulsion systems and satellites. Have propulsion systems evolved a lot in recent times? Yes and no. The space business is all about minimizing risk. This stems from the simple fact that once we’ve shot stuff up into orbit, it's almost impossible to get out there and fix it if something goes wrong. Fixing the Hubble Telescope is one of the very few exceptions to this rule. For the most part, everything that's up there, especially in geostationary orbit, 36,000 kilometers away, stays there until it reaches end of life, then and goes to the graveyard. This means that every new technology must overcome some very tough challenges before it can be used in space. What is the market like for plasma technologies? We're in this field of known physics, where we adjust to the new, upcoming market. A market where satellites have to become smaller, cheaper, and perhaps even mass produced. Our propulsion system responds to these conditions. The setup is very simple. It is very light and it can be scaled up or down. This means we can respond to the major requirements of the new market. Where are you in terms of development, with the propulsion technology and the plasma simulation software? For the propulsion system, we are now in the procurement phase. We have the design of the first prototype. We have ordered the parts and expect delivery by mid of March 2019. The test phase is scheduled for the second half of April. In parallel, we continue to develop the software and to receive data from our partners in the European world of propulsion development. By the middle of this year, we intend to have the software validated against experiments. For the satellite platform that we target, cube-set level, there is a gap in the level of propulsive force that is currently available. This is where our engine hits the mark. So, for missions or applications where such a level of thrust is required, the choice is easy for the customer. Yes, we are very happy about that. The majority of the team has a technical background, of course. Physicists, mathematicians, engineers... If I had to define one essential skill, then it would be the ability to function in a team. Nobody's perfect, but a team can be. You studied in Stuttgart, you worked in Netherlands, now you're in Luxembourg. What makes Luxembourg the perfect place for your company? For SPARC Industries it is very important to have access to specific, rare and sensitive data. These data sets cannot be found by searching on the internet. You have to ask specific people and companies in order to get access. We find doors are open to us partly because we come from Luxembourg. Luxembourg has the stamp of neutrality and is considered a solid and reliable partner. 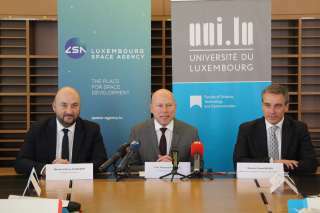 How do you see the space sector developing in Luxembourg? Well, first of all, I must admit, Luxembourg has some great success stories. This is one thing. The other thing is that there's absolutely no point in aiming low. The point is to set up a framework which attracts people, attracts ideas, and like in a greenhouse, try to set an environment where ideas have the chance to flourish. There is this phrase, "Only who strives to the stars will reach the sky." I don't know how far Luxembourg will get, but it's very important strategically, dealing with competitors like the US or China, to position yourself as early as possible and make yourself un-replaceable. 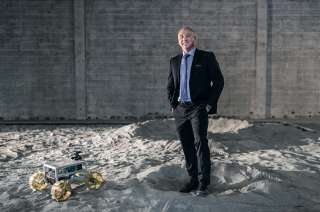 "As young and highly innovative start-up in Luxembourg, SPARC Industries addresses some of the most complex questions in the field of space related plasma technology. 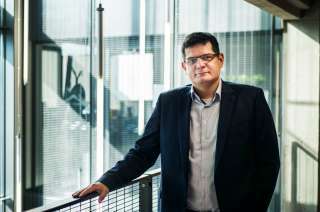 The company has grown very rapidly, while making use of the provided infrastructure in Luxembourg in an optimal way."